Bonne Année! It's the Year of the Monkey. 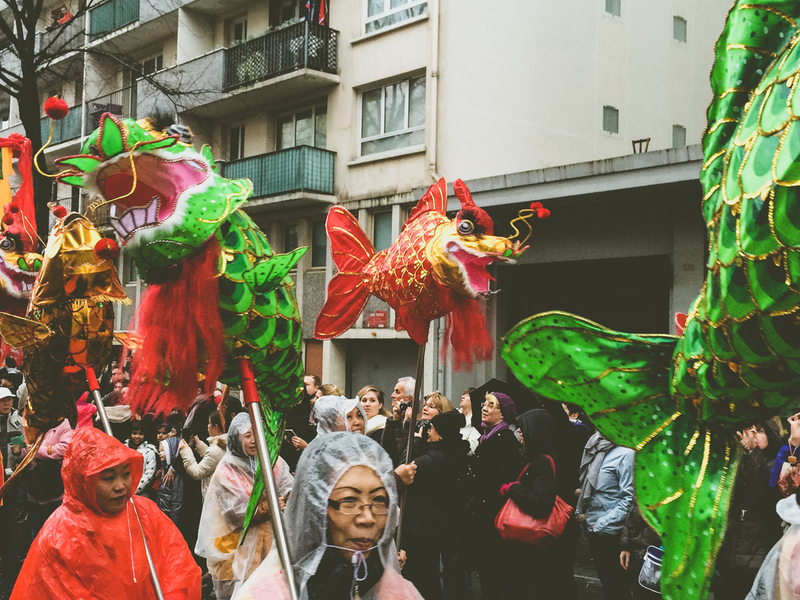 Every year in Paris for the Nouvel An, the Chinese community puts on some pretty amazing parades. 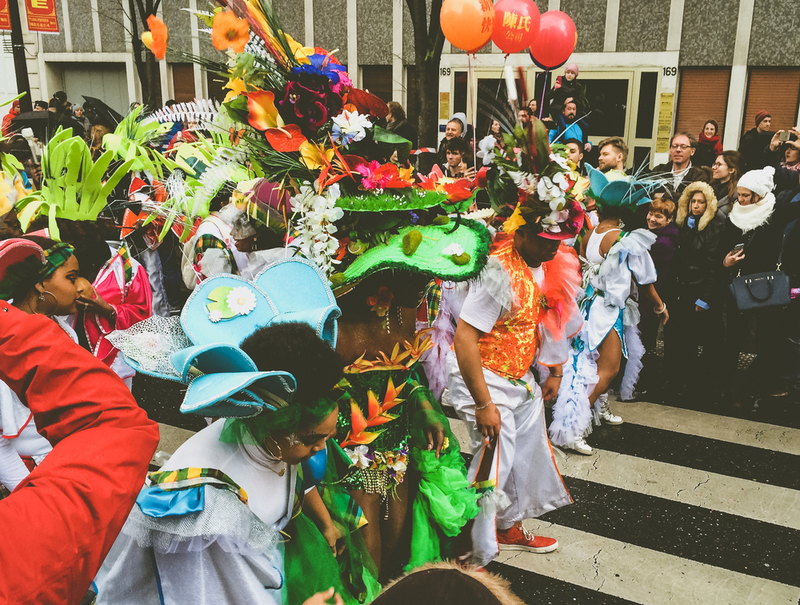 This year, the festivities took place on a rainy, soggy weekend. Unfortunately, the Saturday parade held in my neighborhood was cancelled. 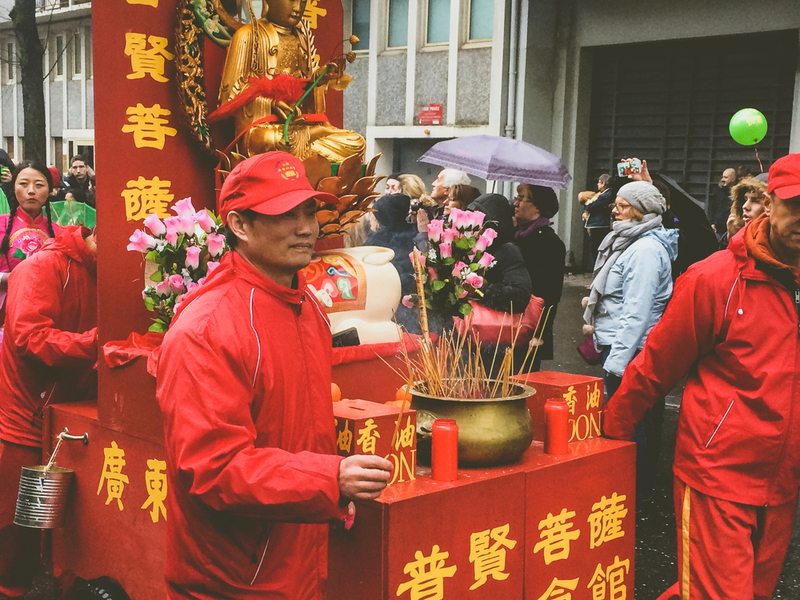 But since I had mentally committed to seeing a parade, I ventured into the 13th, also known as the Quartier Chinois, on Sunday afternoon to check out the big one. It was pretty miserable outside, but the festive colors really brightened up the mood and the gray skies. 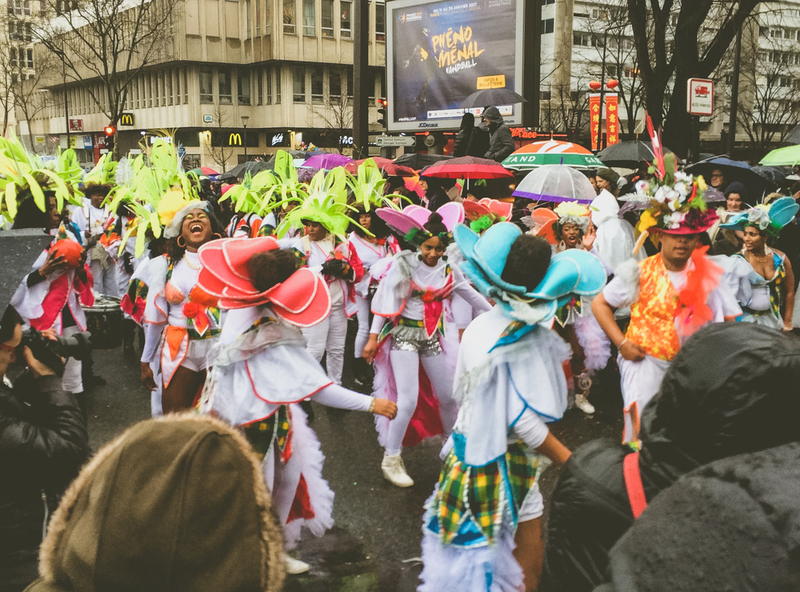 And props to all the parade participants; they were probably so uncomfortable, being cold and wet, but continued to smile and make it fun for everyone watching. il pleut - it's raining.